The 5th annual Rolling Stock Grand Prix sponsored by Alexseal promises to be the biggest, fastest and most competitive yet. 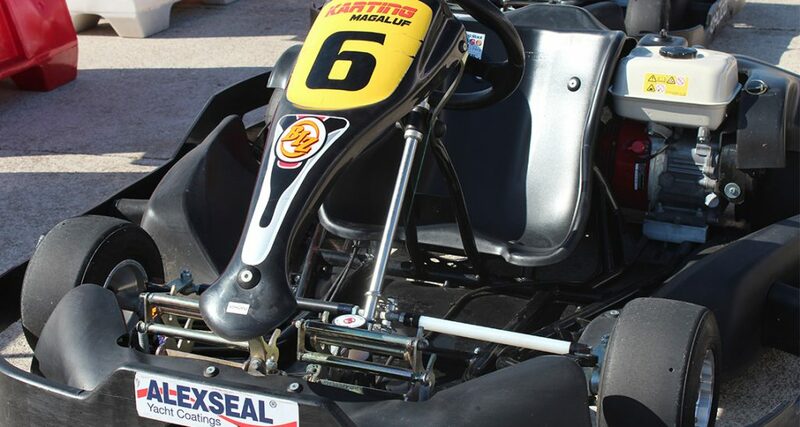 Join us at Karting Magaluf on the 8th October as we go racing once again! Enter one of 3 races to take home the 2016 title and invite your family and friends to enjoy a full day of live music, great food, flowing bars, a VIP Terrace and entertainment to keep every guest in the racing spirit all day long. With a sponsorship opportunity available to showcase your business to the fastest racers in the superyacht industry throughout the day of the event, this is a corporate event offering you and your company unique publicity to a prime market. Formula One Sponsorship costs €1000 and includes; A company stand to promote your business, a company logo printed in the event programme, company banners on the race track and an automatic team entry into the Monaco Challenge. GP2 Sponsorship costs €500 and includes; a company stand to promote your business, a company logo printed in the event programme and company banners on the race track (Please note that all banners and promotional material must be supplied by the sponsor). The qualifying format for The Le Mans Qualifying Challenge: Race Briefing between 08:30–09:00h, Practice between 09:00 –09:15h, 1 1/2 Hour Endurance Race (9 Teams) between 09:30–11:00h. The qualifying format for The Daytona Qualifying Challenge: Race Briefing between 11:30–12:00h, Practice between 12:00 –12:15h, One & A Half Hour Endurance Race (9 Teams) between 12:30–14:00h. The qualifying format for The Monaco Qualifying Challenge: Race Briefing between 14:30–15:00h, Practice between 15:00 –15:15h, One & A Half Hour Endurance Race (9 Teams) between 15:30–17:00h. The Rolling Stock Grand Prix Race: Final Race Off between the first three places of each Qualifying Challenge between 17:30–18:30h, Practice between 15:00 –15:15h, Prize Giving Ceremony at 19:00h. All times are estimated. In the event of bad weather the event will be re-scheduled as practical with no refunds.